Change is happening faster than ever, and to stay ahead, you need to anticipate what’s next. Legal challenges come from all directions. We understand and work together with you to solve the toughest legal issues in major industries and commercial centers around the world. Whether you’re expanding into new markets, considering capital from new sources, or dealing with increasingly complex regulation or disputes, we can help. 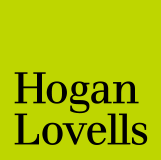 Whether change brings opportunity, risk, or disruption, be ready by working with Hogan Lovells.